My work as a writer and creative professional, speaker, personal guide and mentor has spanned a number of projects and fields, each one contributing to the next. The thread that runs through them all is my love of words as gates to meaning and connection within us and in our relationships, purposes and potentials. 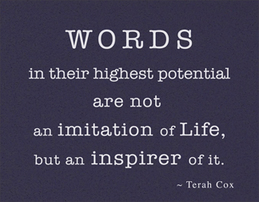 Words that not only report life, but inspire it, giving our experience of time and place so much more than it might often seem to be. After I left studies in design at the Fashion Institute in New York to work on a Masters in Poetics at NYU in NY, I was rerouted midstream into songwriting, and the incredible luck of landing a music publishing contract with Columbia Pictures Music. This put me on the professional map as a working songwriter. Because I primarily wrote lyrics, I was always co-writing with music composers, producers and artists. I soon began traveling and working in Scandinavia for BMG Sweden writing lyrics for artists who wanted to release records in English. More European, Asian and Israeli projects followed, along with publishing deals with Warner-Chappell and others in Europe, a U.S. deal with BMG Nashville and a #1 Christian hit. In my 20+ years of working full-time as a lyricist, I have had over 150 songs recorded for CDs, film and TV, with Top Ten hits in pop, rock, dance, gospel and R&B. In addition, I also worked for a time as a freelance writer for Saatchi & Saatchi Advertising in New York writing jingles and slogans. As I felt my interests shifting, I wrote a book on everything I knew about songwriting and the music business, You Can Write Song Lyrics, and began to take on some new horizons. See www.FisherQueenSongs.com for more info. ​My growing interest in the inner realms, spurred on by my creative experiences with inspiration and the “inner muse,” has tended toward the mysteries of love and truth and personal transformation, which the mystical hearts of many of the world’s traditions explore. From this my subsequent books were inspired: BIRTH ANGELS ~ Fulfilling Your Life Purpose with the 72 Angels of the Kabbalah, which reveals a long-hidden Kabbalah tradition dealing with the 72 Angels of the Tree of Life as "angles" of Divine Light-Consciousness within the human; THE STORY OF LOVE & TRUTH, a poignant fable about forgetting and remembering what matters most and the uncommon possibility of two; A LOVE YOUR HEART CAN BELIEVE IN, a giftbook with clever rhymes and quirky phrases about life's most mysterious magic, and BIRTH ANGELS BOOK OF DAYS ~ Daily Wisdoms with the 72 Angels of the Tree of Life, a 5-volume series of 365 daily messages giving voice to diverse qualities of "the Divine Light-in-detail" that dwell within us to amplify the power of the inner Divine in our daily lives. More projects are in the works! ​Simultaneously, a second “new career,” as an offshoot of songwriting -- and a place to exercise my early love of color and design -- happened sort of accidentally and became my support for the book writing. Two weeks after 9/11 and turning down a record project in Norway the next day, I made a creative leap from the sound-bytes of songs to the power of bits of poetry, color and texture to open portals for meaning and connection. And so, the Heaven & Earth Works line of greeting cards and word-art was born. For 16 years and counting, the HEW works have maintained a long-time presence in various galleries, gift shops, bookstores and spiritual art centers across the country -- and in the lives of people and friends whose support I am so very grateful for. ​Commissions and work-for-hire writing, editing and design projects for personal and professional clients across various fields have greatly enriched my writing by giving me a lot of practice with a variety of vocabularies and practical applications. One of my more interesting corporate affiliations was with the Aura-Soma Colour-Care-System in the U.K., a company which sources their own biodynamic farm, alchemical processes and esoteric inspirations to create color products as tools for self-discovery and higher consciousness. My work there involved communicating the spiritual underpinnings in their commercial and educational offerings, helping to deepen the correspondence of their "Equilibrium" products with the 72 Angels of the Kabbalah and writing extensive content, including 2500 product descriptions, for a new website (www.aura-soma.net). See also Commissions and Writing-for-Hire. ​My passion for the process of individuation and sounding for truth and potential in the "underneath" of life circumstances, people and relationships of all kinds has led me throughout my life to be of help to others in times of self-inquiry, confusion or crisis. Incorporating what a friend called "the capacity for extraordinary listening," I ultimately moved into professional mentoring and personal guidance. Here I indulge in one of my great life joys, which is to help people "true-up" their lives by embracing who they are and what they love -- and bringing that to the world. Contrary to what is sometimes a religious or societal caution against focusing too much on oneself, I have experienced and observed in others that the individuating person's ultimate joy is to serve others enthusiastically and wholeheartedly with his or her own true being and purpose. When I conduct workshops or speak to a group on any subject, whether spiritual or secular, personal or global, it is my great desire to illuminate the more than meets the eye within us each and all -- and that when we bring the love and truth of who we uniquely are to all our being and doing, the world becomes that much more. ﻿For a list of previous workshops and presentations, see Events Archive here. ​For personal guidance and professional services, click here. To book a presentation for your group or organization, click here. To inquire about a commission or writing-for-hire, click here. For more about my spiritual journey, click here.